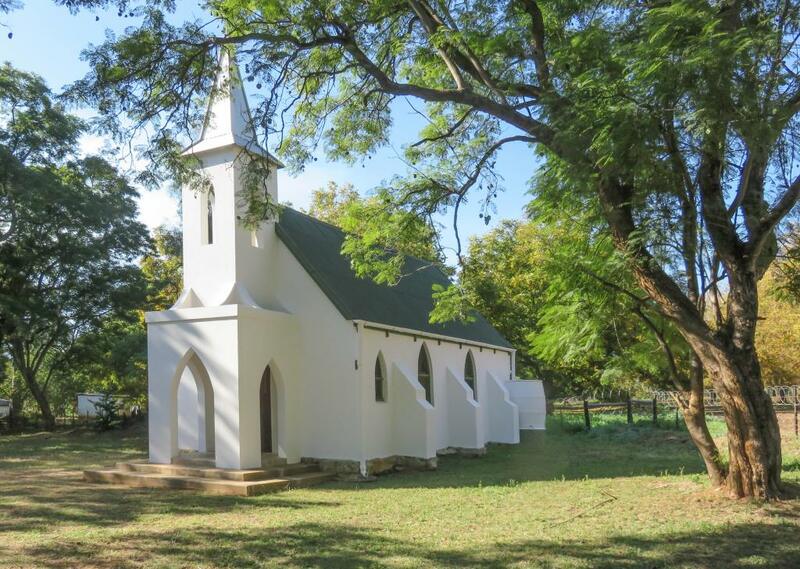 The first mention of Muden is from Ref 3, where it states that missionaries Filter, Prigge and Bronkhorst went to the Mooi River to establish the Müden Station in 1859. Let's first locate the place. Muden is a settlement on the Mooi river on the R74 between Weenen and Greytown, at 28.9781°S, 30.3795°E and 810m. There is not much to it, a shop or two, a police station and, most important for me, a German Lutheran church. A note on the spelling, on the maps its written as Muden, but its origin is as Müden. The name comes from a village in the Lüneburg heath in North-West Germany. The real history of Müden started with Heinrich Röttcher, a missionary with the Hermannsburg Mission Society sent out from Germany in 1862. He was posted to Entembeni on the Mooi River. Entembeni, or as it is spelled now on Google Earth, Ethembeni, is situated about 20 km by road going north from Müden. 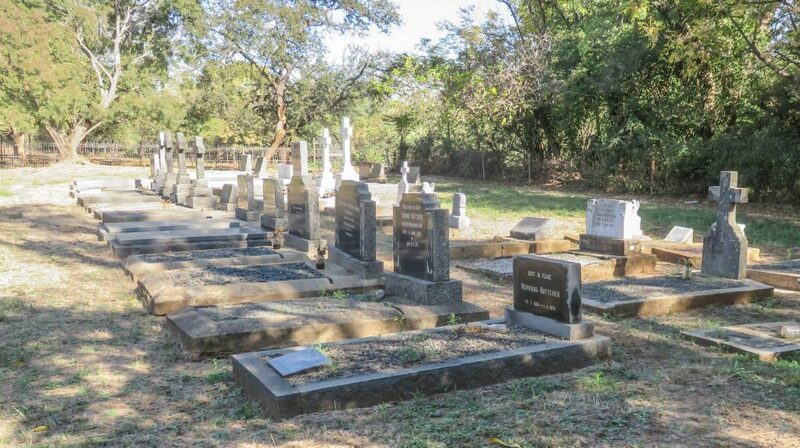 His first contact with the Müden area was when he was send down from Entembeni to rebuilt a mission church which had been struck and destroyed by lightening. The area then was known to the Zulus as Opate. Him and a colonist, Bergmanns, rebuild the walls of the church in 14 days by working day and night. 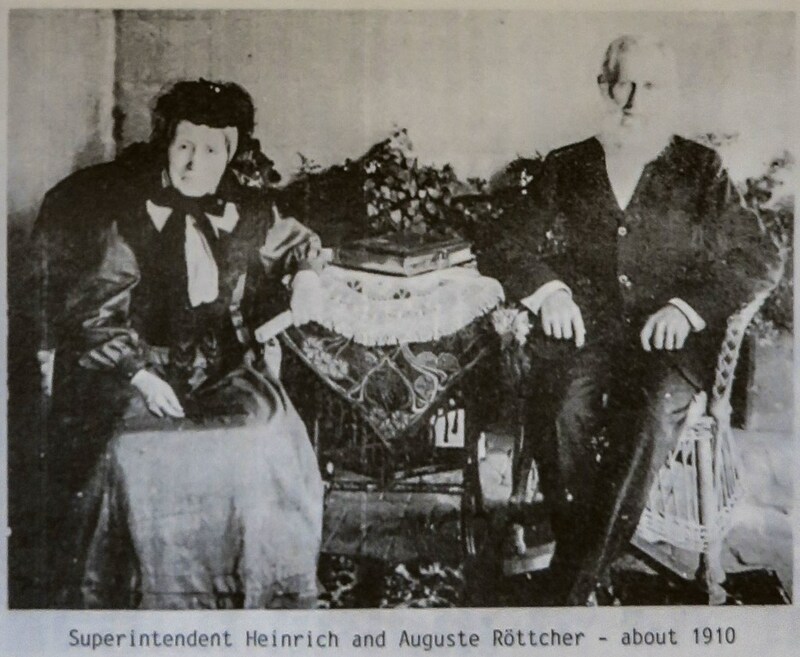 The next event leading to the establishment of Muden was when Heinrich Röttcher bought the farm Nooitgedacht in 1871 which straddled the Mooi River, in extent of 6000 acres, costing him £1085. The mission society was initially not interested in his purchase, but that changed when he offered to set up a new mission station on the farm, this was granted in 1876. With much enthusiasm a church was build and irrigation canals dug which made arable land available. The society at this time saw the potential and a contract was drawn up by which Heinrich would release 4423 acres to the society for an amount of £1000, the remaining 1587 acres he kept for his family. It was cut up and portions rented out to other German colonists. This way enough German Lutherans accumulated that a congregation could be formed. In Ref 2 we read that a church was built by the congregation in 1877, I am not sure it refers to the church in the picture. I need to do some more searching. 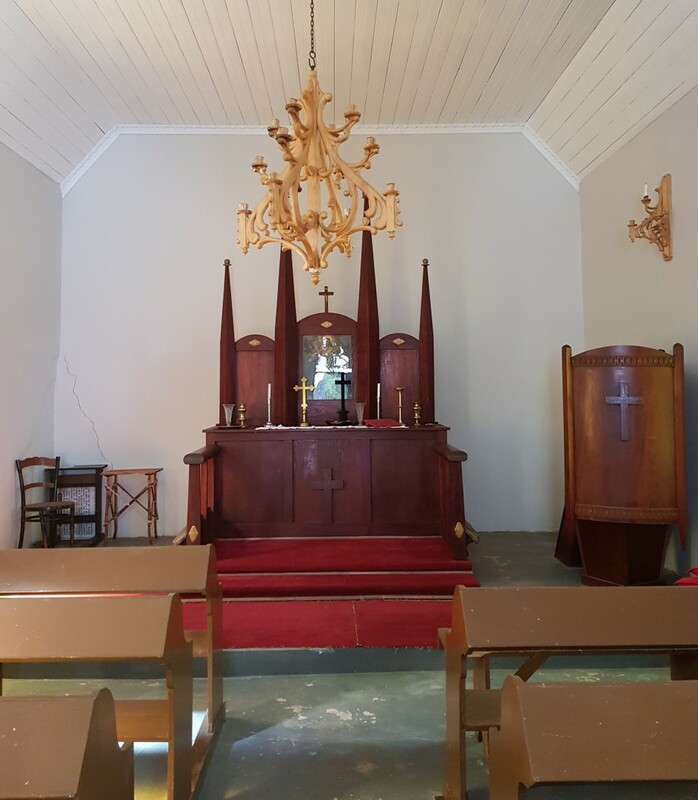 It is built in the typical style that we see in other Lutheran churches in the area. Next to the church is a little graveyard, in it we find the grave of Heinrich Röttcher who died in 1911. The farm prospered under Heinrich and his sons. I am not sure who started it, orange growing became one of the crops grown with success. Most of the product went to export. A special product of this venture was a orange wine. 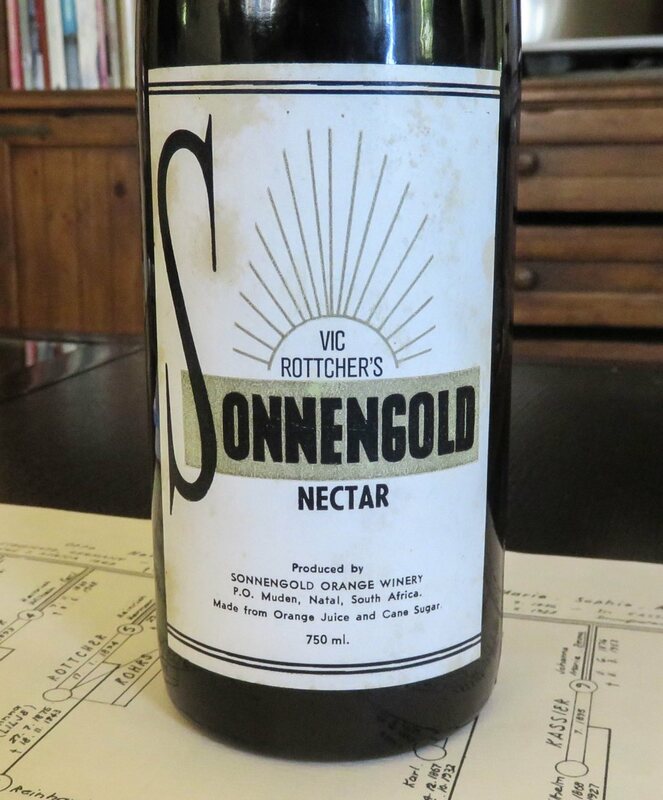 The Sonnengold Orange Winery was established in 1916. A bottle of this product still exists, see picture. 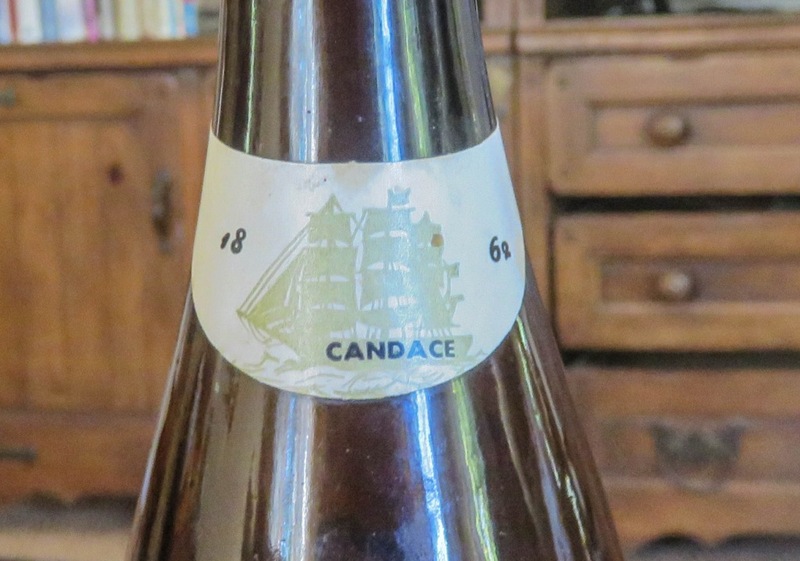 Notable on the neck of the bottle is a picture of the mission ship, the Kandaze, in this case spelled Candace. And the year 1862, which was the year Heinrich arrived in South Africa. Just a note, why was the name Müden given to the mission station? As stated above it is a village in the Lüneburg heath not far from Hermannsburg in Germany. The connection to the Hermannsburg Mission was that Theodor Harms, brother of Luis Harms and lecturer at the Hermannsburg mission school, was appointed pastor there in 1859. Acknowledgment: the picture of the church inside is by Carien Müller, all other pictures are my own. Ref 2.: The diary of a Missionary's wife in South Africa - The dark and bright side of her life - Auguste Röttcher (nee Horst) 1836-1922, it is the translated diary of Auguste Röttcher, I don't know where it was published and when, I saw a copy at the Invala Guest farm at Muden.